"If you're after the absolute best option for A/B mix comparison and analysis, you can't beat Plugin Alliance's Metric A/B—it's the best tool on the market." It&apos;s hard to think of a plugin category that&apos;s exploded as quickly as A/B comparison tools over the past few years, and to date, there&apos;s been one plugin leading the way by a wide margin: Sample Magic&apos;s breakout hit Magic AB. Without wanting to sound dramatic, Magic AB was really one of the few paradigm-shifting tools I&apos;ve come across in 12 years of producing music: it instantly replaced a clunky, annoying process of using reference mixes within a DAW session (which required disabling your master output processing, so as not to process an already mastered track) with a streamlined plugin that offered looping, loudness analysis, and the ability to load multiple reference tracks. 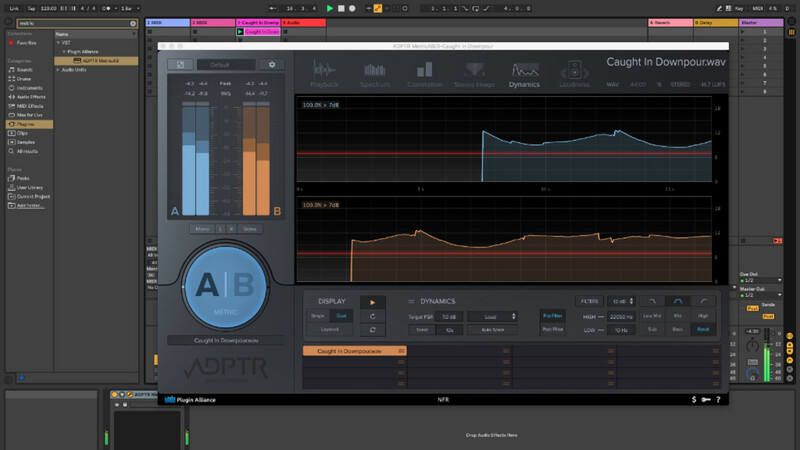 With Magic AB as a staple of every session I&apos;ve started over the past several years, I was highly intrigued when I learned Plugin Alliance, one of my favorite developers, had brought on Magic AB&apos;s creator to develop its more fully-featured successor, ADPTR Metric A/B. While a quick glance at Metric A/B&apos;s features revealed capabilities well beyond the original, it was also hard to miss its price point at $199, which is far beyond what most of us had imagined a mix comparison tool going for. 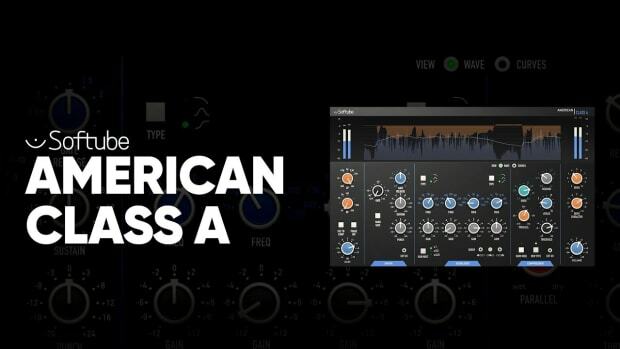 In this review, we&apos;ll take a deep dive into Metric A/B to see how it stacks up with its predecessor and if it&apos;s worth the investment for producers and engineers looking for a more efficient way to A/B their mixes. As with all Plugin Alliance plugins, you can either download a manual installer from the PA website or use their excellent standalone installation manager app for Mac or PC to install your desired plugins. 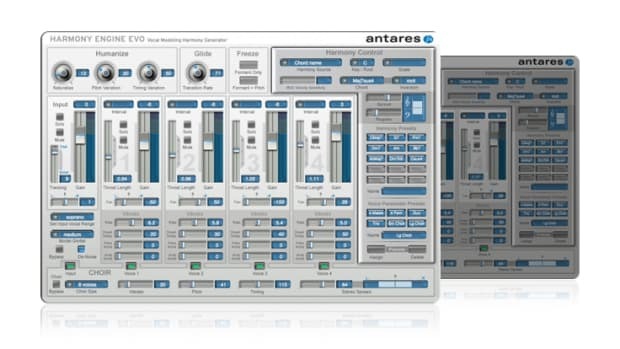 Metric A/B is available in all standard plugin formats, including AAX, AU, VST2, and VST3. The first thing you&apos;ll notice upon opening Metric A/B for the first time is it&apos;s clear a lot more development work and fine-tuning went into it than the earlier Magic A/B and Magic A/B 2. The GUI is much more modern and pleasing to the eye (in my opinion, at least), with vastly improved metering, along with a host of new modules and features. Whereas Magic A/B is a phenomenal but rather limited offering—it does little more than show a basic track waveform and a minimal volume comparison display—Metric A/B is a multi-tabbed beast of a monitoring plugin. The plugin&apos;s top module buttons offer 6 modes: Playback, Spectrum, Correlation, Stereo Image, Dynamics, and Loudness. Below the top module selectors lie two horizontally stacked audio views: depending on the mode you&apos;re in, these meters might change to display frequency, correlation, or other metrics. Below these views, you&apos;ll find a host of buttons and options allowing for display customization and filtering, which turns out to be one of Metric A/B&apos;s most brilliant features and one we&apos;ll dive into shortly. Finally, the bottom of the plugin GUI offers 16 slots for reference tracks, which support just about any audio format ranging from MP3 to FLAC. If you&apos;re used to Magic A/B, you&apos;ll feel most at home in the Playback tab, which offers similar but more robust controls that allow you to select which parts of your reference track you want to play back, and control how you wish to do so. The default mode, Latch, was the one I most frequently turned to, as I find it to be the easiest to use in most situations: Latch simply ties the start and stop of the Metric A/B playback engine to the start/stop of your DAW. Cue mode is also quite handy: it operates similarly to Latch, with playback start and stop tied to your DAW, but it starts playback from one of four assignable cue points each time your playback engine is restarted. Cue mode can be useful if, for example, you want to A/B the first bar or two of your drop with a reference file; in contrast to Latch mode, which will simply resume playback from wherever Metric A/B left off, Cue mode will always start playback from the same point, making it easy to compare how the first bar of a section is hitting compared to a reference. Once you leave the Playback tab, you&apos;ll begin to appreciate just how much more advanced Metric A/B is than its predecessors. Spectrum mode, which became my most used tab in testing, offers a detailed look at the frequency spectrum of your DAW project vs. one of your 16 reference tracks, allowing you to quickly see differences in frequency balance between the two tracks. It&apos;s worth noting that Metric A/B offers three distinct visual layout modes, as this becomes quite important once you engage the Spectrum tab: Single mode offers one giant visual display of a single track, Dual offers stacked displays of two tracks, and Layered mode overlays the selected reference track and your DAW output on one visual spectrum. In Spectrum mode, I found Layered to be by far the most useful: rather than trying to discern areas of frequency differences in Dual mode, which is fairly imprecise, Layered mode allows you to view the two tracks&apos; frequency curves directly overlaid on one another. In doing so, it&apos;s easy to figure out areas of the spectrum where your track either has too much or too little frequency content compared to your desired reference mix. For producers working in small or poorly treated rooms, this is particularly essential. While it seems counterintuitive to rely on a visual meter instead of your ears, always bear in mind that if your room isn&apos;t treated well or has odd dimensions, a visual meter is likely a more accurate way to dial in the right amount of low-end in your mix. 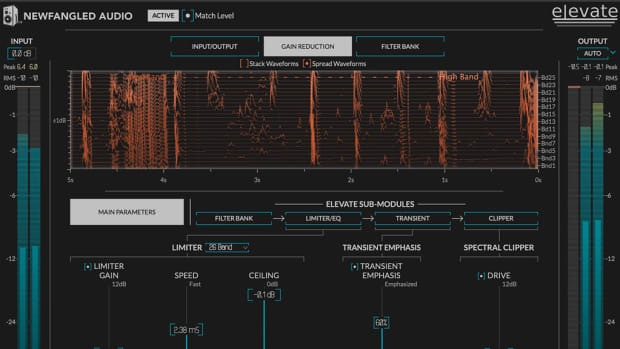 Spectrum mode is particularly effective if you can track down stems for a reference mix you like, as it allows you to A/B the constituent elements of a track (say, your drum buss vs the reference mix drum buss) for more precise reverse engineering. Metric A/B&apos;s Correlation mode offers one of the more advanced stereo correlation analysis tools I&apos;ve found to date. In dual mode, Correlation view offers a multiband look at both your DAW and reference track&apos;s stereo correlation across the entire frequency spectrum, allowing you to spot specific frequency ranges that may be out of phase. While I&apos;m placing less emphasis on Correlation meters than I used to, this view is nonetheless a really powerful tool for ensuring that there aren&apos;t areas of my mix that will disappear when the mix is collapsed to mono on certain playback systems. The Stereo Image mode offers a slightly different approach to evaluating the left and right content of your mix versus a reference track, with vertically-oriented displays showing the left-right gain of the entire frequency spectrum. 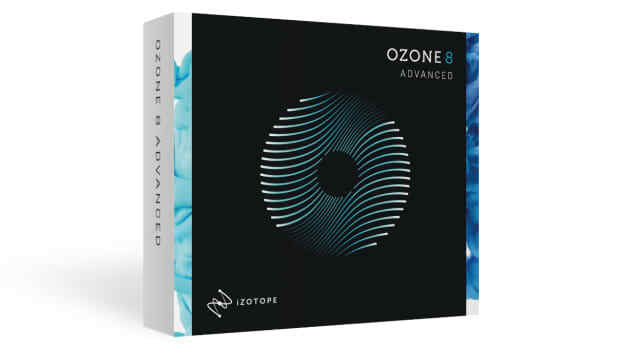 This mode is particularly useful for ensuring your low-end content isn&apos;t panned to one side or another, and it can be extremely revealing to examine how some of your favorite reference mixes handle panning across the frequency spectrum. Metric A/B&apos;s Dynamics mode was one of the pleasant surprises I found during testing, and it&apos;s a tool I haven&apos;t really seen duplicated in other monitoring plugins to date. Put simply, Dynamics mode allows you to compare the peak level and short-term dynamics of two tracks next to each other, which in my testing was extremely useful for zeroing in on differences between my mixes and my favorite reference tracks and tweaking master buss compression and limiting accordingly. Dynamics mode will quickly reveal differences between a professionally mixed and mastered track versus a rough mix, and it can be an essential tool if you&apos;re trying to replicate the overall loudness contour and feel of a commercial track. 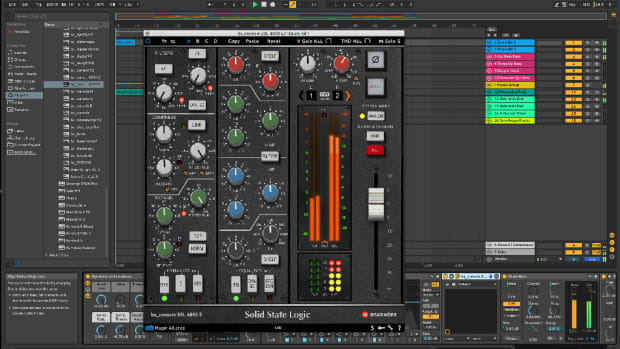 In particular, the Dynamics tool can be extremely revealing in showing how a properly mastered mix handles the dynamic changes between song sections (for example, the transition from a very loud &apos;drop&apos; to a quiet breakdown section), enabling you to diagnose problem areas in your mix with ease. One of the most brilliant features of Metric A/B is its built-in filtering option; with the click of a button, you can isolate a specific frequency band of your mix (Sub, Bass, Low Mid, Mid, High). 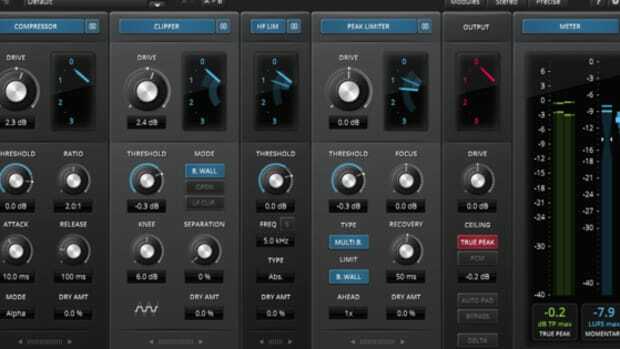 This is a really powerful tool, and it simplifies something I&apos;ve long done using separate plugins (usually a multiband compressor set to band solo mode) during mixdown and mastering; by soloing and comparing specific frequency pockets of your mix, it&apos;s often much easier to diagnose issues with frequency imbalance and distortion. 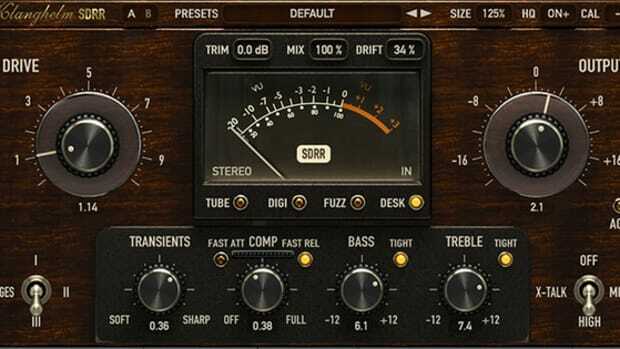 Specifically, filtering your mix to only focus on your low-end content is often the best way to figure out if your bass is distorting when hitting a master limiter, something that is often masked by mid and high-frequency content. So all of this begs the question—is Metric A/B worth a $199 price tag? As much as I&apos;d like to give a concrete yes or no answer here, this is really dependent on your needs and your current plugin options for A/B testing. Personally, Metric A/B has become an indispensable plugin and one I truly do not want to mix without, so I can justify the asking price: it saves me substantial time in every mix, and it offers some of the most robust monitoring and diagnostic tools I&apos;ve found in any plugin. If you already own Magic AB or Magic AB 2, I&apos;d recommend getting the Metric A/B demo to see if it&apos;s worth the additional investment, and I fully understand that some producers and engineers may balk at the price for a monitoring tool. One thing worth noting—at the time of this review, it appears Magic AB 2 is not yet compatible with the latest version of Mac OS Mojave, which may or may not be a sign of things to come for those who don&apos;t upgrade to Metric A/B. While I don&apos;t have any inside information on the future development of Magic AB, it would be a bit surprising to me if the developer behind both plugins continues developing a more entry-level, cheaper plugin. As a result, it is possible that we&apos;ve seen the last updates to Magic AB in its current form, which is something to keep in mind if you&apos;re regularly updating your operating system. If you&apos;re after the absolute best option for A/B mix comparison and analysis, you simply can&apos;t beat Plugin Alliance&apos;s Metric A/B—it&apos;s the best tool on the market I&apos;ve tried by a very wide margin. Metric A/B isn&apos;t just a worthy successor to Magic AB, but rather sets an entirely new standard for mixing comparisons, with a host of new features that extend far beyond the original. 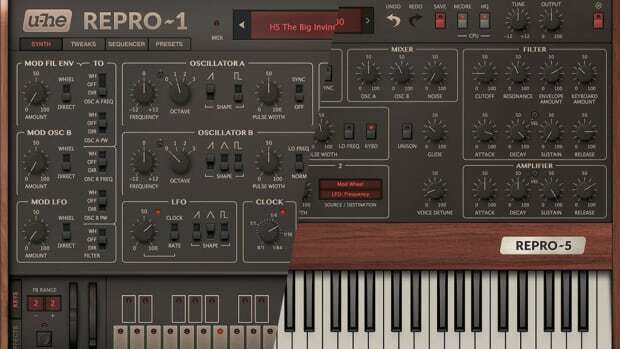 While the price of admission isn&apos;t cheap, Plugin Alliance has crafted an absolutely incredible plugin here, and it&apos;s well worth a try.